See where to park, what's going on and where everything is right here! Parking for All About Maryland Festival is free. There is no charge to enter the park for the festival either! Lot A will be open for ALL Handicapped Parking. ​There is very limited public parking in Lot A. Please choose one of the other lots, as directed by our PARKING GUIDES. Please follow their directions for the most convenient parking experience. There will be frequent, free shuttle busses to take you to the festival area. Please use caution while walking in the parking areas. DO NOT PARK ON THE ROADWAYS! Is there a fee to come to the festival? This is a ticketed event. You may purchase tickets right at the entry tent at the actual festival entrance or in advance online. Advance ticket holders get to use our EXPRESS ENTRY. Where do I get tickets in advance? Adults $10; Family of 4 pack $25; Seniors $5; Children 12 and under $5; Active & Retired Military/First Responders $5 (must show ID at the gate; Under 5 FREE. We discourage guests from bringing pets to the event. All entertainment is included in the ticket price. No. Kids activities and features are included in the ticket price. Please check our entertainment schedule for special events times. Can I come to the park and not go to the festival? The park is open to the public during the festival. 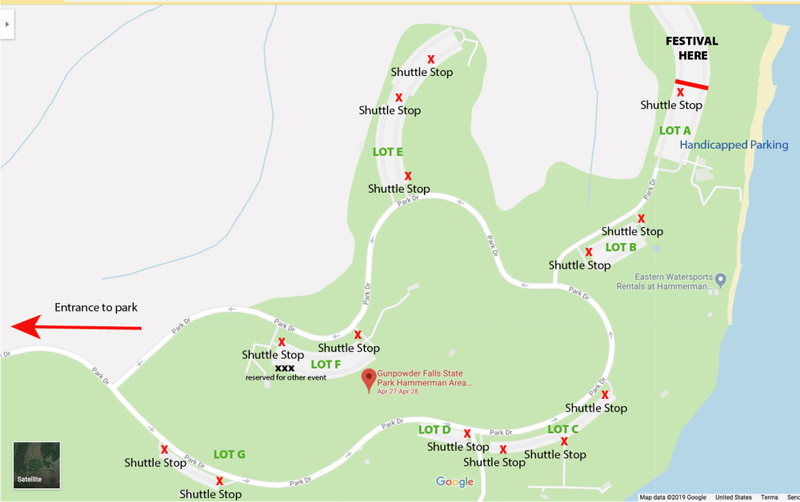 Visitors not attending the festival will stop at the main gate & be charged the $3 fee at the gate by the Park Rangers.